Sweet pears and winter fruit balance out the bitter greens in this festive salad, dress it up with the Cranberry Rosemary Vinaigrette and it is sure to bring cheer to your holiday table. Make the dressing; place all ingredients in a blender and blend until smooth, reserve for later use. Store leftovers in the refrigerator in an airtight container for up to a week. 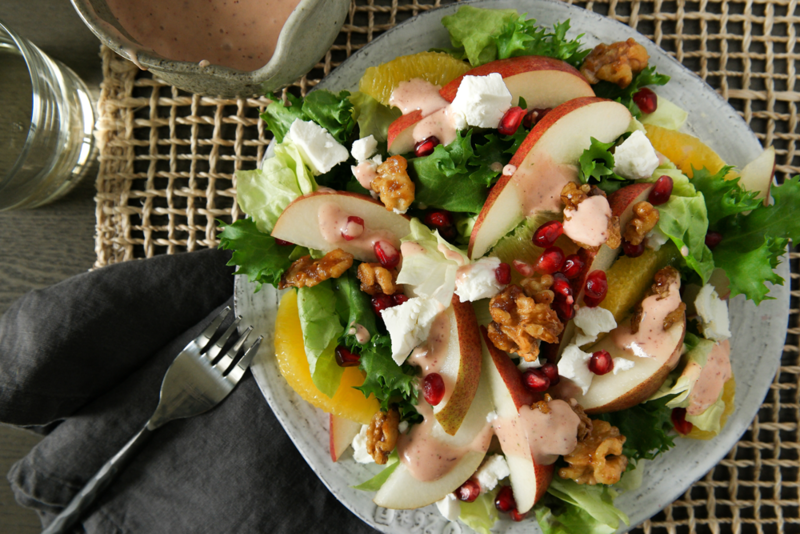 Assemble salad; mix the lettuce together, layer on the pears, oranges, goat cheese and nuts, sprinkle on the pomegranate seeds, serve immediately with the dressing on the side.